Video players differ in functionality, appearance (for many you can switch the so-called “skins”), purpose, they are suitable for different operating systems: there exist players for Windows 10, 8, 7 and older. Even if you have not thought about what video player is used in your system and you were satisfied with the good old Windows Media, installed by default, sooner or later the very moment comes when the question of replacing the player becomes relevant. And this moment will come, as soon as you try to change the proportions of the video, bring the image in the playing movie, make the subtitles more readable on the screen, or add transparency to them. After all, as practice shows, Windows Media is suitable for viewing unpretentious videos or the most common “avi” files, but its capabilities are clearly not enough even for a home user viewing at least several modern high-quality movies a couple of times in a month. Very popular video player from Korean developers. Their slogan: “We play all”. The slogan, in truth, is justified: almost all videos (99%) that you will find on the network, you can open in this player. There is one important detail: this video player includes all the codecs that it needs to play files and you don’t need to look for and download them separately (which often happens in other players when a file refuses to be played). It also should be said about the beautiful design and thoughtful interface of KMPlayer. On the one hand, when you start the movie, there are no extra buttons when you start the movie, on the other – if you go to the settings: hundreds of options. This is because the player is aimed at both beginners and experienced users, who need special playback settings. A very popular video player, but for some reason, it is used by many users as a backup option. Probably because this video player is bundled with many codecs and installed with them by default (by the way, the player itself doesn’t contain codecs, and therefore before installing it, you need to install them). the creation of screenshots from the video. The program takes up not so much space on the PC, and will save time when you want to watch some video or movie. This player has (in comparison to other similar programs) one chip: it can play video from the network. To play the video in the same way can only a few players (no lags and brakes, there is no big load on the CPU, no compatibility problems, completely free, etc.). It reproduces a wide variety of video sources: video files, CD/DVDs, folders (including networked ones), external devices (flash drives, external disks, cameras, etc. ), network video streaming, etc. Some codecs are already built into the player (for example, such popular ones as: MPEG-2, MPEG-4, H.264, MKV, WebM, WMV, MP3). Support for all platforms: Windows, Linux, Mac OS X, Unix, iOS, Android. Full free: there is no built-in adware, spyware add-ons, scripts tracking your actions, etc. 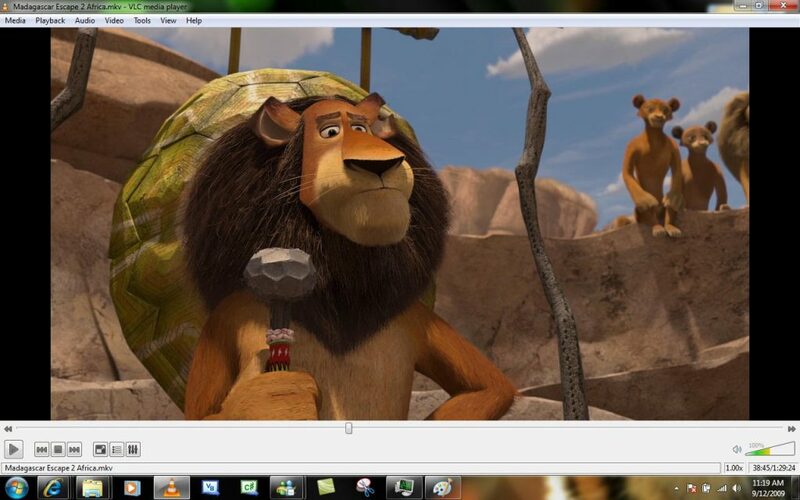 It is recommended to download VLC on your computer if you plan to watch the video over the network. The story of this player began in the 90’s, and for all of its life it has always been in the second or third roles. Perhaps, because of the fact that the player was always missing something, some special features. Today, the media player plays almost everything you’ll find on the Internet: Quicktime MPEG-4, Windows Media, DVD, streaming audio and video and many other formats. It also has a good design, there is an equalizer, a mixer and so on, like competitors have. The only drawback is the slow work on weak PCs. view the video from the “cloud”. Moreover, your friends can do it as well. In most programs of this type – there is nothing like this. Ability to watch videos from the popular YouTube hosting. Built-in MP3-converter (useful when working with audio). Sufficiently convenient equalizer and tuner (for precise adjustment of the image and sound, depending on your equipment and configuration). Compatible with AirPlay (this is the name of the protocol that Apple developed, which provides wireless streaming of data (audio, video, photos) between different devices). As for the disadvantages of the 5KPlayer, we can only highlight the lack of detailed settings for subtitles (a very useful option when viewing some video files). In the rest – it’s an excellent player with its interesting unique options.